Aircraft completion - "The international directory of VIP, business jet & private jet interior designers." 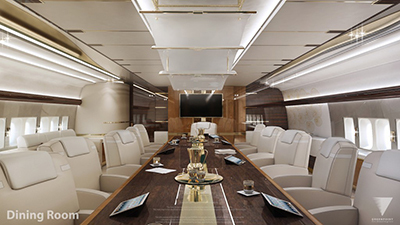 Inside the gloriously opulent private jets of the world's richest - Daily Mail. Inside the superyacht of the skies! £400 Million personalized Boeing 747-8 aircraft - completed by Greenpoint Technologies of Kirkland, Washington. Its incredible 4,786 sq. ft. of space features a stateroom, lounges, an office, and a massive dining room. Mind Blowing Private Jet Interior Designs - Top Dreamer. 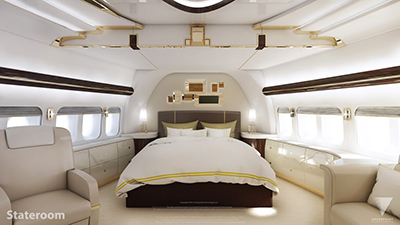 Private Jet Interiors on Pinterest - 68 Pins. ReQuest - "Serious Play." Land, sea, and now air - those who can afford to take to the skies under their own power need not be satisfied with a travel sized version of their entertainment lifestyle. The same ReQuest system that brings seamless room-to-room music and movie luxury to your entire home can be easily extended to your personal aircraft so your whole library follows you even thousands of feet above the Earth. Selling Airborne Opulence to the Upper Upper Upper Class - The New York Times. The Most Luxurious Private Jet Interior Designs - Mr. Goodlife. The Sexiest, Most Luxurious Private Jet Interiors - Elite Daily. AirJet Designs - since 2009. "Award-winning aviation design studio that specializes in corporate jet, VIP, and Head of State aircraft interior design." Alberto Pinto - since 1971. Private jet interior design. Andrew Winch Designs - since 1986. "Private Jet Design." Penthouses in the sky, our jets create a sensational feeling of space and comfort through our harmonious design and innovative use of hi-tech materials. BILL AMBERG - since 1986. "We offer a bespoke service for interior design using leather, whether it be a private residence, commercial property, aeroplane or yacht. Creating leather walls, furniture and features for an interior or exterior space." CANDY & CANDY - since 1995. "World leaders in creating innovative, glamorous and elegant ground-breaking interior design." Greenpoint Technologies - since 1987. "Boeing Business Jet Completions." Provides aircraft interiors for VIP, corporate and commercial airline clients. Jet Aviation Design Studio - "Established in 1977, the Jet Aviation Basel Completions Center has created more than 200 bespoke and unique cabin interiors." LINLEY - since 1985. "LINLEY have been commissioned to create stunning interiors for the world's most luxurious yachts and private jets, combining bespoke furniture pieces and the talents of our in-house interior design team." PEGASUS DESIGN - "Provides specialist design and supervision services for private jets. The company was set up in 2006, and has since delivered more than 20 V-VIP jets to individual owners. Offices are situated in both London and Monaco." TERENCE DISDALE DESIGN - since 1973. "Creators of distinguished yachts & jets." 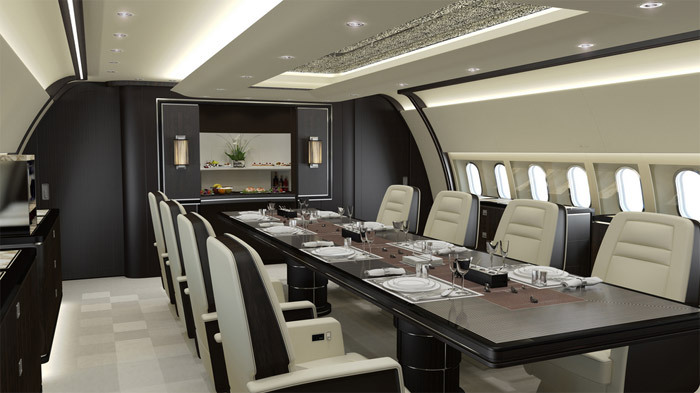 VIP Completions - "Award winning jet interiors you have dreamed of."